Dan Scarr: "I Can't Wait to Start Playing"
Following the news that he'd joined the Saddlers on a two-and-a-half-year deal, Walsall's former Birmingham City defender Dan Scarr has spoken to club journalists and discussed his excitement as he begins a new chapter of his career. Dan, who turned out for Causeway United, Redditch United, and Stourbridge before joining Birmingham City in January 2017, insisted that he is the type of player who will give everything to the cause, and hopes to be able to help the team to rise back up the League One table. 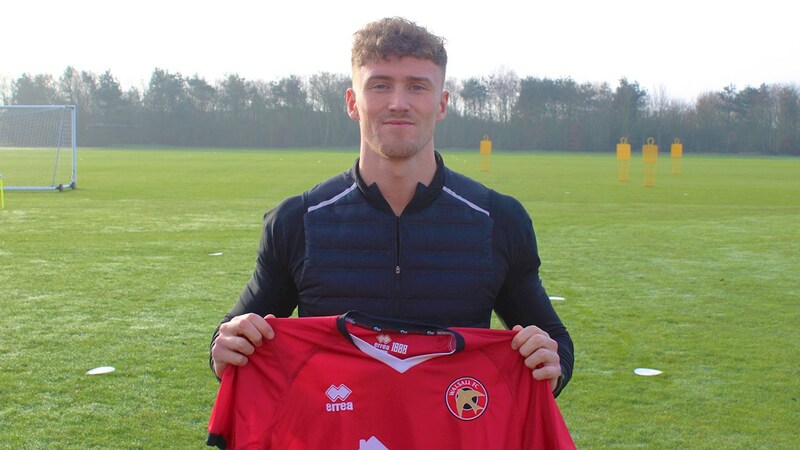 Speaking via the club's official website - Saddlers.co.uk - Dan said; "I’m happy to get it done and over the line and I can’t wait to start playing now. I’m the sort of defender who will go and attack everything and be dominant in the air. "I will try to organise the backline and throw my body at everything because it means something. I like to call myself a no-nonsense defender because defending comes first. I like to try and play when I can to try and set the team on counter-attacks. "Hopefully, I can add a winning mentality and help the side pick up a few good results, keep some clean sheets and work our way back up the table."